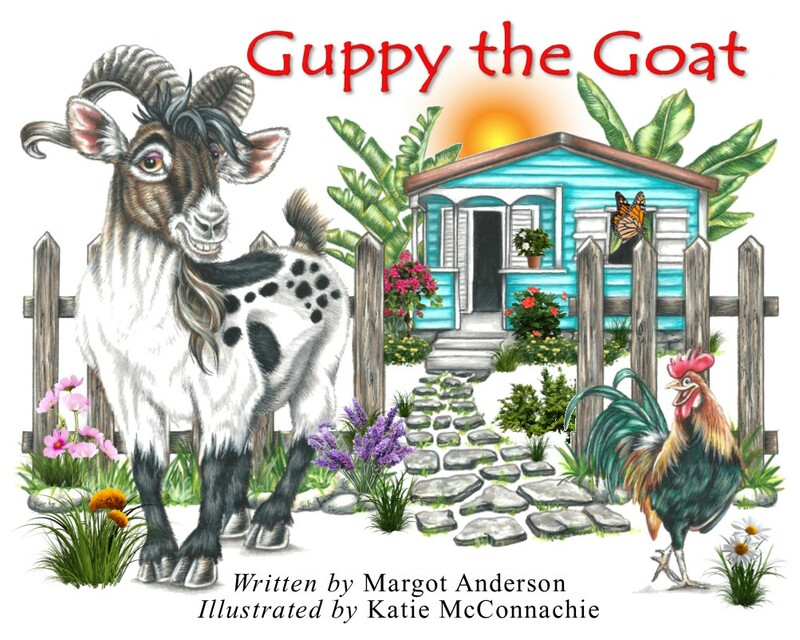 Guppy The Goat is a story about animals who live on the island of Antigua. 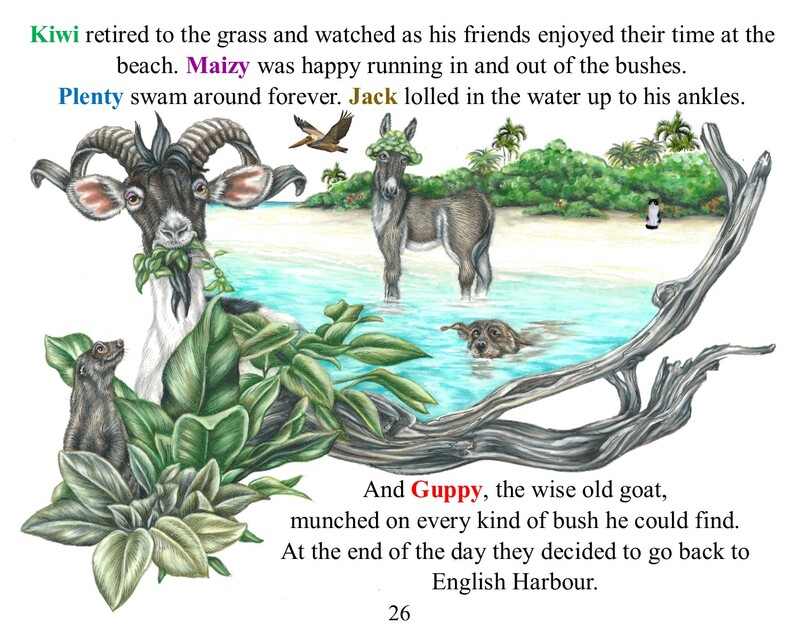 Guppy is a wise old goat, who along with his friends explore the island and go on many adventures. And sometimes get into trouble. Guppy, Jack the donkey, Plenty the dog, Kiwi the cat, and Crazy Maizy the mongoose are all best friends. Their newest friend, Anders the baby duck, is still too young to go on adventures. 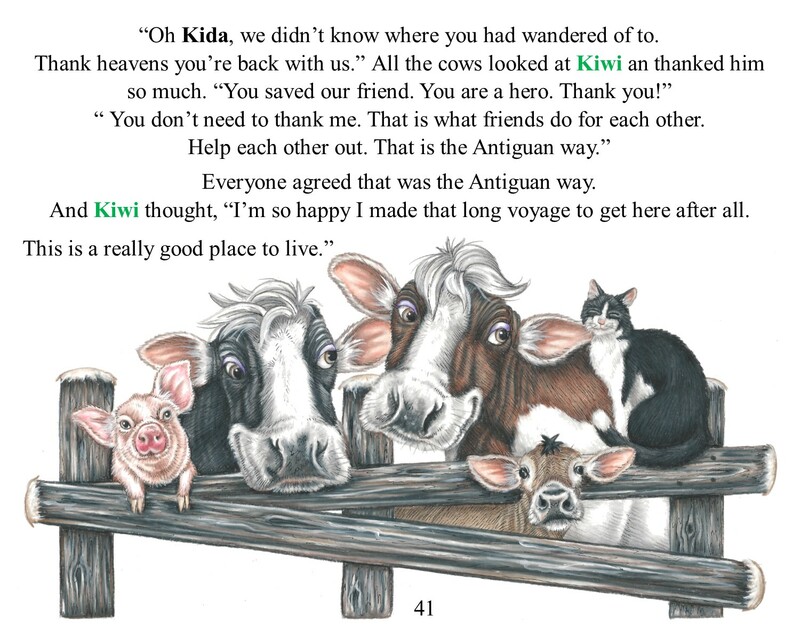 The book is about friends helping each other. 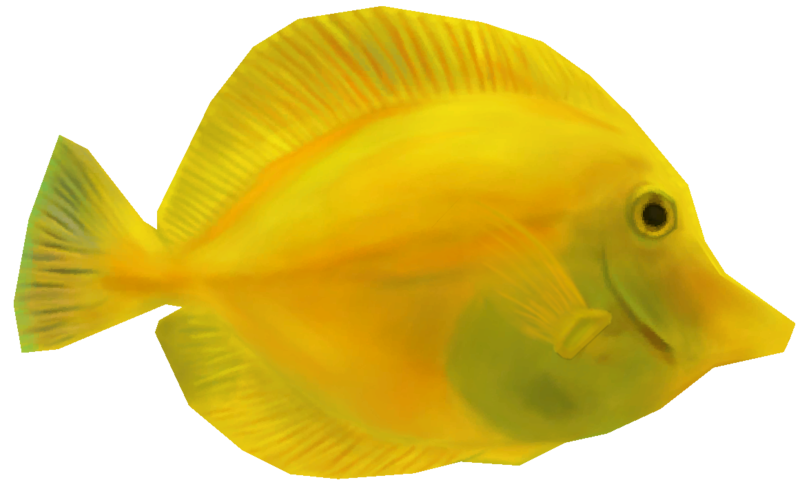 The illustrations are all Caribbean images.